500 Edinburgh primary school pupils are set to take part in a summer of sporting activity at the Spartans Community Football Academy, Ainslie Park. The Academy will host a mini-Olympics for over 200 pupils aged 10 -12 on May 24th, where they will get to sample up to fourteen different sports including athletics, rugby, football, judo and volleyball in a fast paced morning of fun and sport. This will be followed by the Spartans Girls Football Festival on June 23rd when over 300 girls between the age of 6-8 will take over The Academy’s Ainslie Park ground, to try their hand at our national game. The children will be drawn from Primary Schools across North Edinburgh, parts of which remain some of the most socially deprived areas in the UK today, and the events provide the opportunity for them to have fun and get physically active as part of bringing about a positive change to their lives. “Sport is a wonderful way of getting children together and allowing them to learn new skills, develop self-esteem, gain confidence, build new friendships and discover team working abilities which are all very important characteristics of growing up.” said Catriona. “Sports days at The Academy are designed to create a platform for development and this year will have almost 500 primary school pupils taking part. Crucially, they also allow young people to gain direct access to our own Youth Workers, and through them the youth support activities that are open to them during evenings and weekends throughout the year at The Academy. Our hope is that through these two days we’ll be able to help inspire and develop not only the next generation of sports stars but the next generation of capable and confident adults too.” she added. 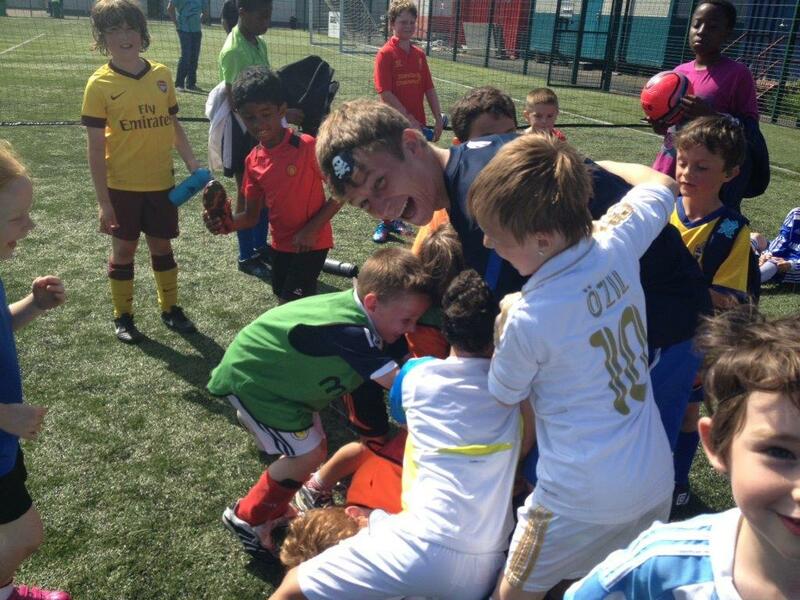 The Spartans Community Football Academy encourages young people to take part in physical activity - helping to improve their health, make friends and develop their social skills in a supportive and safe environment. Supported by local business, charitable donations and fundraising activities it works with around 3000 young people per year from the local community. A recent report from The Robertson Trust in Scotland, on behalf of the Scottish Government, concluded that active sports programmes, such as the ones run by The Academy, can deliver a host of benefits to the local community including supporting physical and mental health, education, tackling crime and boosting economic development. This year’s events are supported by Hanya Partners and Thomas and Adamson Surveyors, with additional help being provided by volunteers from State Street Fund Managers, Nike, Edinburgh University Hutchison Vale, Spartans Women’s FC, Edinburgh University Women’s FC and Trinity and Craigroyston High Schools.